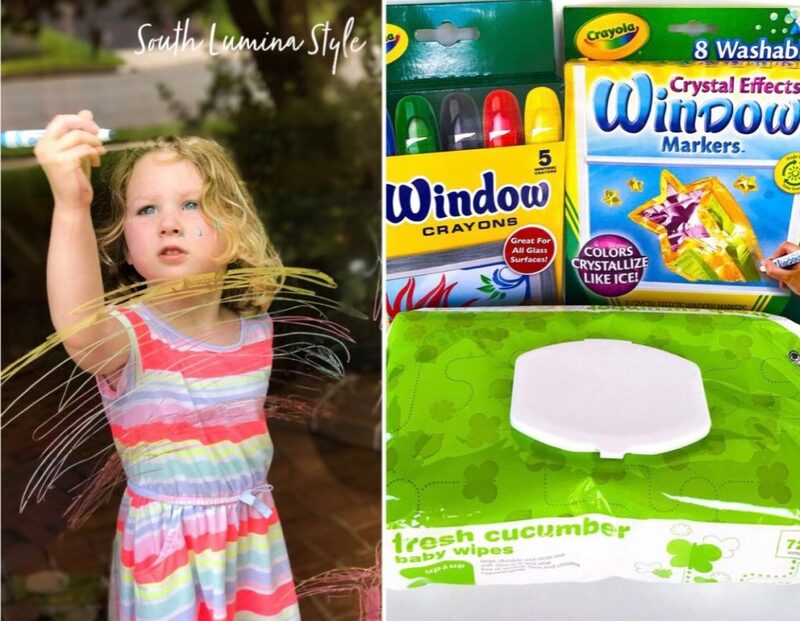 Long summer days call for fun activities to keep the little ones happy and preoccupied. These literally have kept my 4 year old busy for hours over the past few days. They would also be a great thing to pack for a screen-free option on a long car ride. We use these to work on spelling words, math problems and just free doodling to their little hearts’ content. 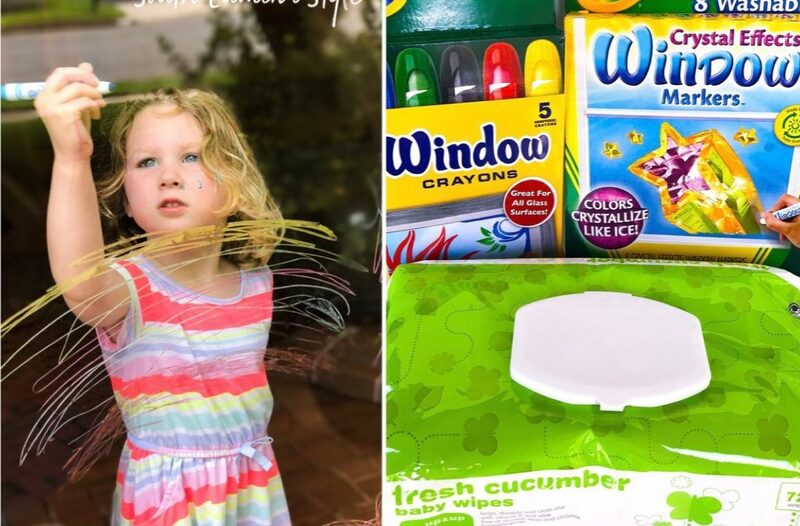 We tested out both the Crayola Window Crayons and the Crayola Window Markers Crystal Effects and used the Target Baby Wipes as an easy way for them to “clean the slate”. 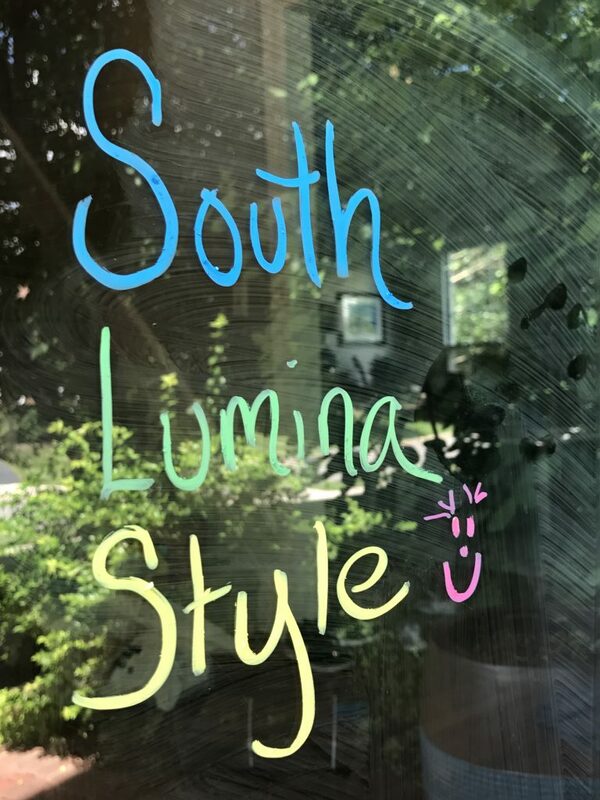 You will need to take some window cleaner to the glass after they are finished for the day to clear up the streaks, but believe me it’s worth the little extra clean up time. 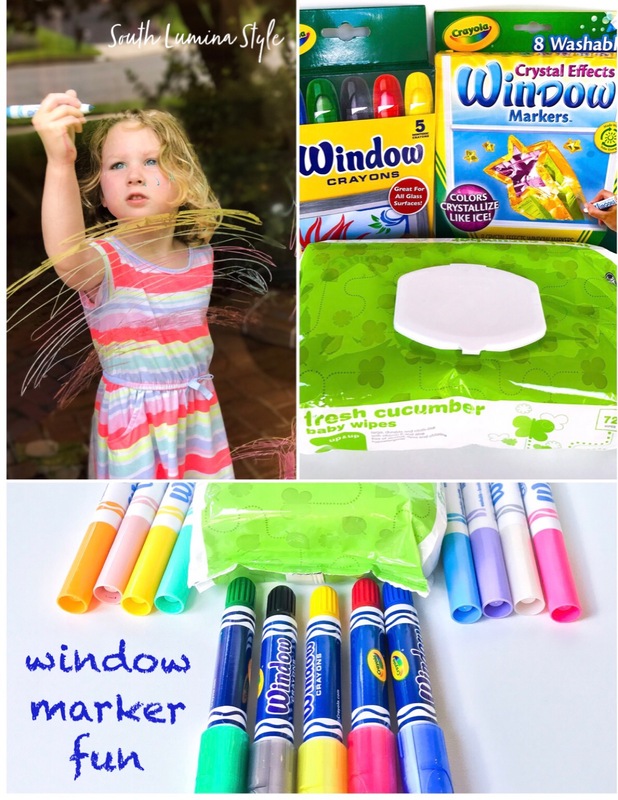 The Crayola Window Crayons don’t say “washable” on the package so i’d be careful if they are wearing something you don’t want them to get stained, but they are much more vibrant and fun to draw with. 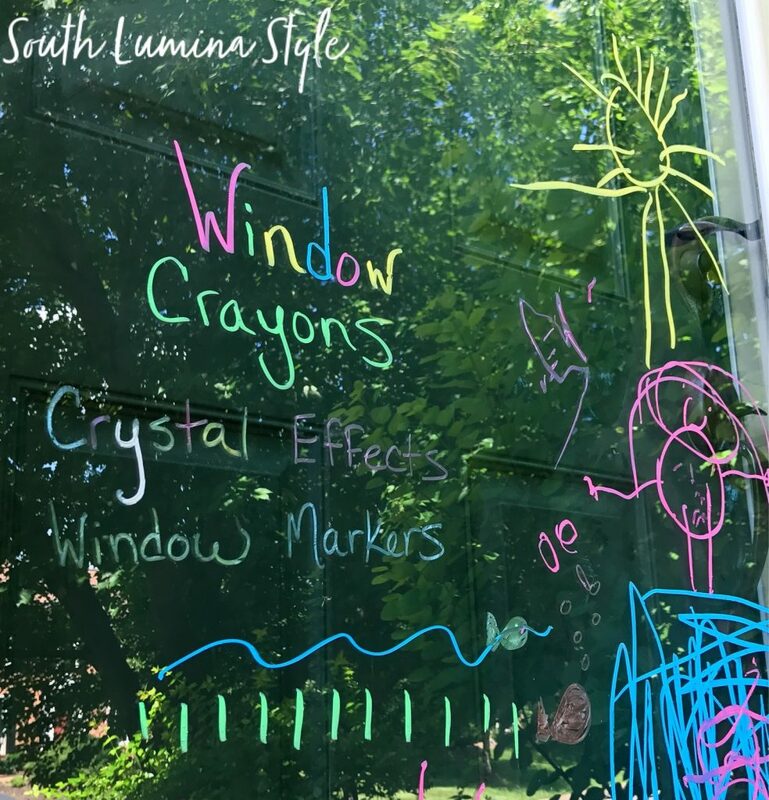 The Crayola Crystal Effects Window Markers are very difficult to see when you first draw with them until they “crystallize”, and on rainy or cool days this can take a while. The kids enjoyed watching their drawings change from almost clear to more opaque and still had fun with these.